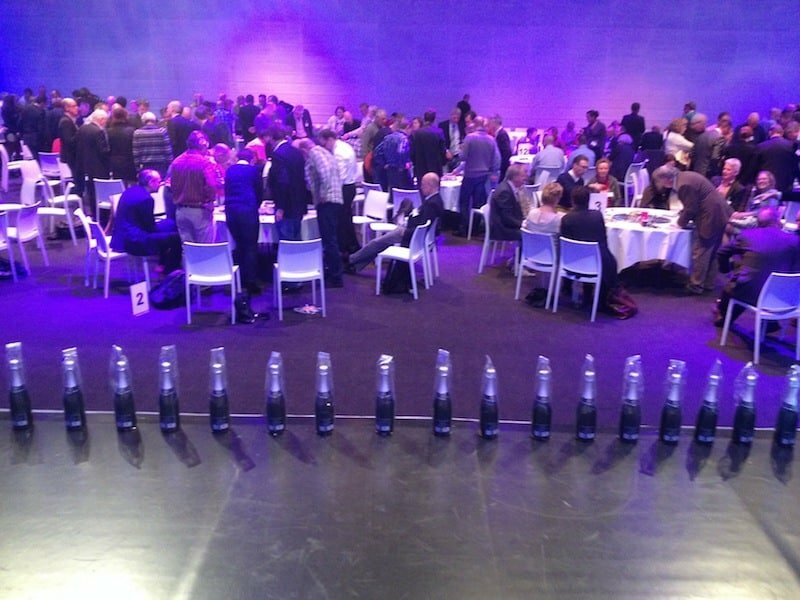 On March 6th more than 200 managers of the Dutch Customs played the Perspectivity Game. The session took place in the congress centre NBC in Nieuwegein and is played under the guidance of 20 gameleaders on 17 tables. As always in the game a lot of energy was released. And besides the fun that participants had, they also learned a lot. It’s not so easy to put such a large group in a fun and meaningful to work. But the game managed to do that. It gave energy to be engaged in the game and there were lessons to be learned, not only during the game, but also afterwards. Photo: prices are waiting for the winners.